Reki is the unofficial leader of Old Home. She's tough when she needs to be but is also caring and compassionate. 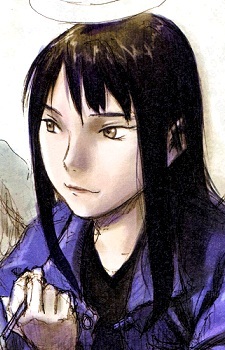 Her role at Old Home is to care for the young Haibane as well as take care of New Feathers like Rakka. Reki is a major part of Rakka's life in Glie as she was the one who discovered her cocoon and stayed by her side during the painful process of growing wings. Reki is most always cheerful, at least on the surface. We receive hints of a darker past throughout the series. Despite whatever these problems from her past may be, Reki is a strong and reliable person, which explains why the other Haibane respect her as they do.